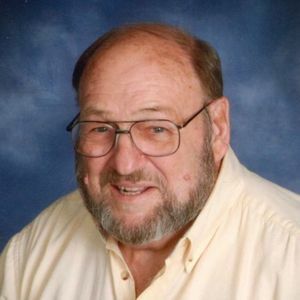 Obituary for Richard A. Dolack, Sr.
78 of Greenwood, Indiana passed away Sunday, April 14, 2019. He was born to the late George A. & Julia A. (Pierard) Dolack on July 6, 1940 in Springfield, Illinois. Richard worked for Horace Mann Insurance Company for 31 years in Fire and Casualty Division, retiring in 2002. He also, worked at Springfield Illinois Post Office as a letter carrier for nine years and an estimator for United Van Lines and at WVEM-FM Radio Station. Richard was a member of Central Illinois Adjuster Association and was active with Keenagers of Our Lady of Greenwood Catholic Parish. He enjoyed spending time with family, weekend camping, fishing, golfing, going to baseball games (from little league to the pros), sightseeing vacations with his wife and the kids, summer trips with grandchildren. He also was a long suffering Chicago Cub fan and always enjoyed spending time with children and grandchildren and will be greatly missed by all who knew him. Richard was preceded in death by a brother, George C. Dolack; sisters, Leona Dolack & Dolores Raynor-Aughenbaugh. He is survived by his wife of 56 years, Edwina M. (Veseling) Dolack; sons, Richard A. Dolack Jr. and Robert F. (Jennifer) Dolack; daughters, Regina M. (Bryan) Geeser and Rita A. Dolack; sister, Joanne Tate Barber; grandchildren, Christopher (Lacey) Geeser, Ryan (Samantha Maggio) Dolack, Nicole Geeser, Zoe Dolack and Joy Dolack and all the grandchildren called him "Chief", he is also survived by several nieces and nephews. Visitation will be held from 4-8 P.M. at Wilson St. Pierre Funeral Service & Crematory, Greenwood Chapel, 481 West Main Street, Greenwood, Indiana. A Second visitation will be held from 10-11 A.M. at Our Lady of the Greenwood Catholic Church 335 S Meridian St, Greenwood, IN 46143. Mass of will begin at 11 A.M. Donations can be made to Keenagers of Our Lady of Greenwood Parish or Our Lady of Greenwood Catholic Church.